The Gallery Singers At The Electric Church of the Tambourine: the house band for the church that will save your life. We are very excited to announce that our song "Christine!" 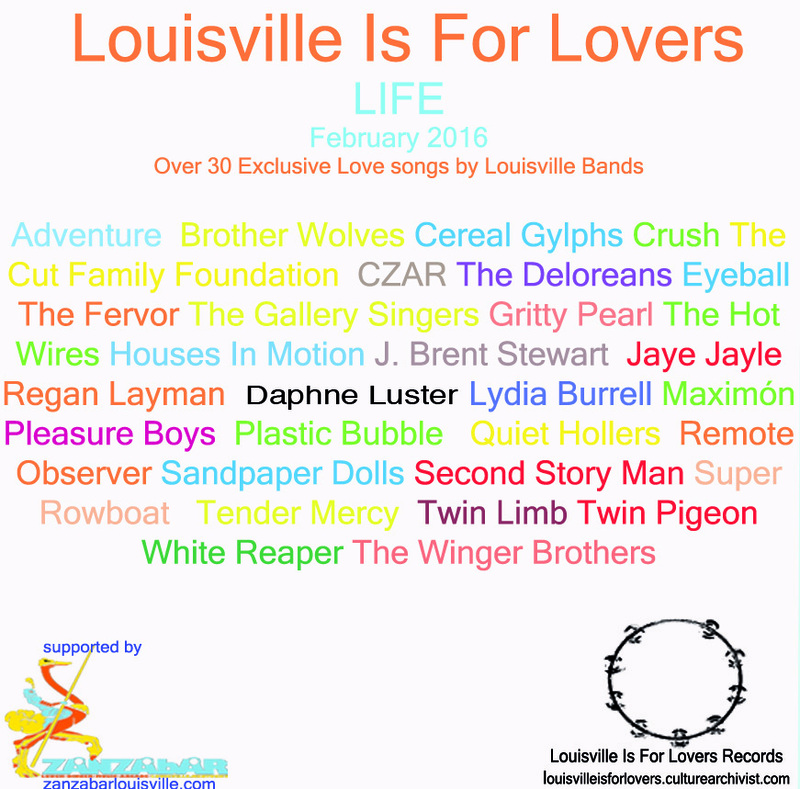 will appear on the 2016 Louisville is for Lovers Valentine's comp! 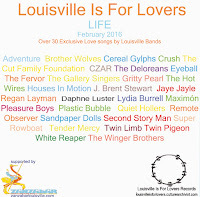 There are many amazing bands included on the 30+ album including our friends Quiet Hollers, Twin Limb, and White Reaper (full line-up here). The album will be available on 2/5/2016 digitally and on vinyl, and we would like to ask you to please help fund this project, and also get a chance to pre-order the album here. 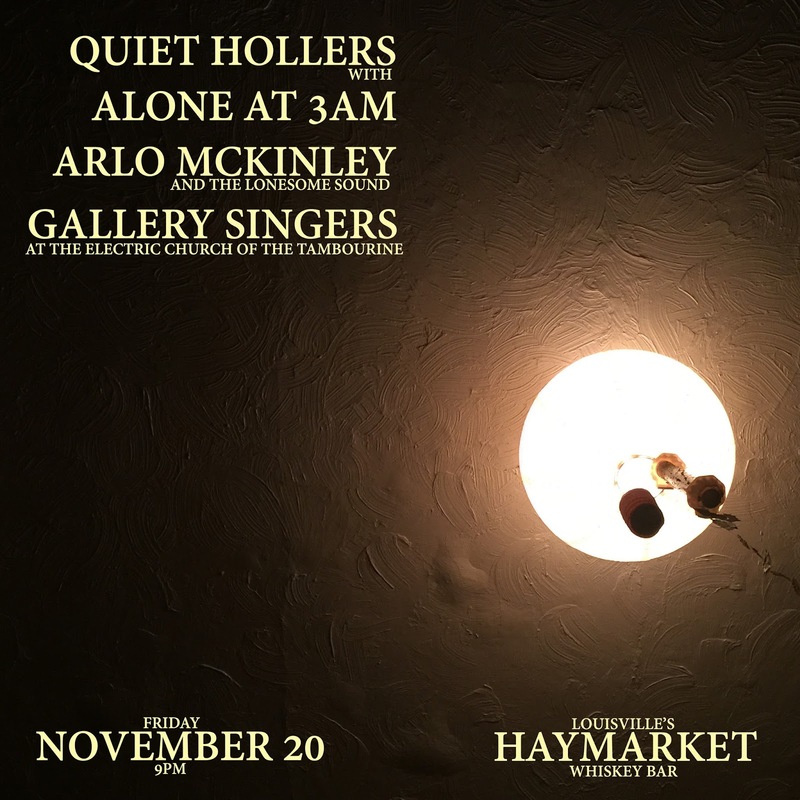 Hot off tour for their new self titled album The Quiet Hollers are playing Friday 11/20 at Haymarket with The Gallery Singers and 2 Cincinnati bands; Alone at 3 am & Arlo McKinley and the Lonesome Sound. Please come out and join us! We'll be hitting the stage at 8! The electric Church can save you. Simple theme. Powered by Blogger.